Friday night the four of us went out for pizza without Gigi. She had far better things to do: her first school dance. A few weeks ago a flyer came home from school in her folder advertising the annual Snow Ball dance for grades K0-1, in other words ages 3-6. It is a drop-off event so parents don’t stay. I immediately dismissed it and threw the flyer in the trash. She can’t go, she’s three and has Down syndrome. There’s no way I’m dropping her off at a dance on a Friday night. A week later I ran into the director of the school and told her I wasn’t able to attend her morning meeting that was coming up. “That’s fine,” she said, “but this is a can’t miss event” and she pointed to the flyer for the Snow Ball. “Absolutely send her.” She continued to tell me how it is such a sweet event and everyone loves it. That’s a lot of responsibility that they’re taking on to have Gigi at this event. She’s well behaved but isn’t it my responsibility to decide if it’s too much and not safe? Having just turned three a couple of months ago she’ll likely be the youngest there. Maybe I need to loosen the leash just a little. This is the added complexity of having a child with special needs. I worry about her like any parent worries about their child but I feel extra compelled to have her participate so that she can be as much like her peers as possible. Yet at the same time they may require additional supervision because of their increased dependence. I decided Gigi had to attend. It became my mission to get her to the Snow Ball. There is no reason for me to hold her back from this social activity just because of her disability. In fact, I felt that Gigi attending this event would mean more than her even going to school. School is expected even if you have a disability but social events are a bonus. Social events are where we really test the theory of inclusion. As a parent of a child with Down syndrome, all I want is for her to be included. The evening of the ball came and we dressed Gigi up. We curled her hair and got her all ready for her fancy event. Since she has feeding issues and needs to be carefully watched when she eats, I worried that those who were supervising the meal at the time wouldn’t know so I wanted to put a bracelet on her wrist that said “DON’T FEED ME” but I decided against it. I did feed her dinner before we left so that she wouldn’t have to eat at the party. I packed her a pouch of puree in case she got hungry. When we walked into the Ball the entrance of the school was festively decorated with giant glitter snowflakes and an arch lit with white lights and lit snowflakes. Giant penguins were everywhere. I took her picture on the red carpet. There were plans for pizza, crafts, dancing and characters. So many people were thrilled to see Gigi who was dressed in her Christmas best. We left her to her party and went out for pizza. If only I could have been a fly on the wall. I can imagine the fun she had. When we got back to pick her up an hour and a half later she had just finished dancing. She took a picture in the photo booth with some friends, and they gave her a hug when she was leaving. Her friends. These children get so excited when they see her walk through the door every morning at school and yell “Gigi’s here!”. That night was an example of true inclusion and I was so thankful that the school gave their students this opportunity. On Monday morning as I dropped her off for school a few of her teachers as well as a parent stopped me to say how much fun Gigi had and how they enjoyed watching her. Apparently she danced up a storm to various Disney music. It’s hard to believe that less than four months ago she wasn’t even walking and now she’s dancing. As she heard us talk about her in the hall that morning Gigi decided to start dancing again, which looks more like a little march in place than a dance. Gigi, you can dance whenever you want. I hope you have lots of opportunities to dance throughout your life with peers of all abilities, fully included and accepted in all activities because you deserve it. This was a great beginning. 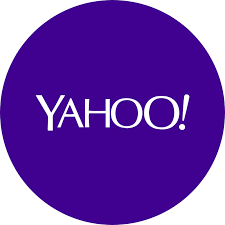 This article also appeared on Yahoo! 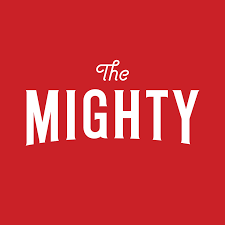 and The Mighty.com. Gigi looked beautiful and so glad she had a good time, and that you let her go to the dance. You are such good parents Tina and Brendan. Love to hear about Gigi. Tina this was your best post. Such a turning point for both you and GiGi! Oh man what a cute event. I’m so happy you sent her! I love this and I am crying too! What a wonderful experience!!! Oh I love this!!! I can feel the tug of war in your mama heart and so happy she had a great time at the event, thank you for sharing over at the blog hop!